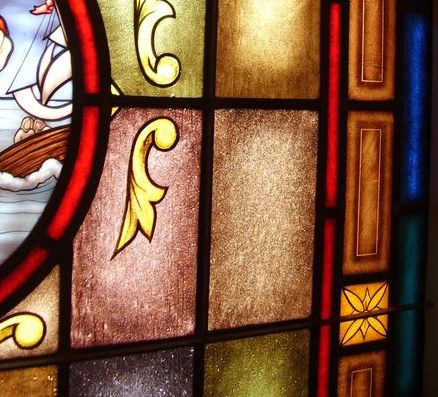 In 1989, Laws Stained Glass Studios installed (16) hand-stained glass windows at Batesburg-Leesville Presbyterian Church in Batesburg, SC. 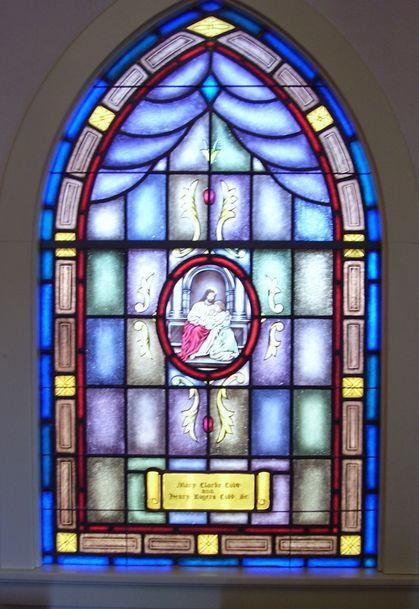 The eight main sanctuary windows (size 44" wide x 90" high with a gothic top) each have a 11" x 14" oval Biblical scene from the "Life of Christ" series. 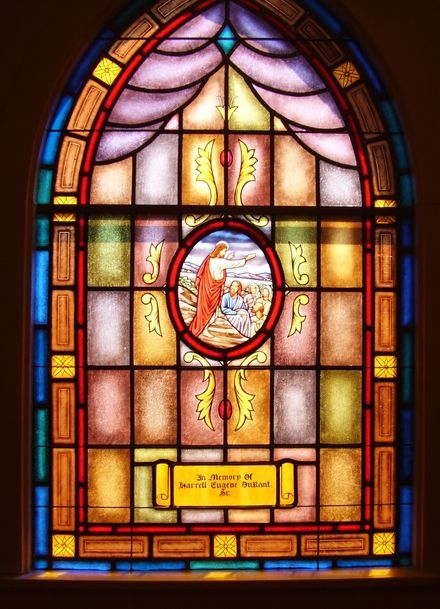 The six shorter windows (size 44" wide x 74" high with a gothic top) have a 11" x 14" oval Biblical scene as well. The transom does not have any artwork but the small window at the gable end has the Presbyterian Seal. All of the windows have memorial plates at the bottom of the windows. All of the windows were installed into the existing wood frames. On the outside 1/4" Lucite acrylic was set as the protective covering. Close-up of the hand-stained glass window showing the 11" x 14" oval Biblical scene of the "Garden of Gethsemane"